Founded in 2015 by three respected and highly experienced members of the acupuncture and natural healthcare community, Rachel Peckham, John Tindall and Ewan Urquhart. Our aim is simple. To provide initial and ongoing training in the NADA five point ear acupuncture protocol. We believe passionately that not only is it important to deliver the highest calibre level of training which meets all standards of excellence required, but also to provide ongoing support, inspiration and annual skills updates for every person we train. 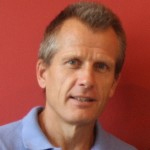 Ewan has over 25 years’ involvement in the TCM sector, and has gained an outstanding reputation in the UK for his commitment to supporting NADA programmes worldwide and the TCM community generally. Originally, Ewan came from a business background but decided to take a more holistic approach to life and made a life changing career decision which he has never regretted. He co-founded an acupuncture supply company and as a shareholder and Managing Director, grew the company into the UK’s foremost supplier of acupuncture products renowned for its customer service and compassion. Not an everyday combination. Ewan has a deep personal interest in the rehabilitation of individuals dependent on substance misuse and has supported the bodies treating addiction for many years by providing acupuncture needles for training, and also supplying free needles for treating people in developing economies. Ewan and his company became synonymous with substance misuse centres and prisons in the UK – indeed, any location where acupuncture is used to treat substance or alcohol misuse. On resigning from his company he was able to give more time and take a greater interest in helping substance and alcohol abusers. With this in mind, he decided to join forces with his long time associate and colleague John Tindall to provide a state of the art organisation to train practitioners in treating clients with the 5 point NADA Protocol. He has also trained in the 5 point NADA Protocol in order to better understand the needs and concerns of NADA practitioners and also obtained a degree in Business Studies and Marketing at Kingston University. Rachel is a respected and experienced practitioner within the acupuncture profession and a member of the British Acupuncture Council since 1993. 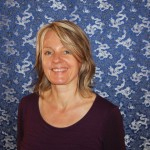 She has covered a versatile and wide area of work as an acupuncturist during the past 22 years alongside running her successful private acupuncture practice in West London: www.rachelpeckham.co.uk. Rachel has worked as a clinician in various NHS trials involving the use of acupuncture in cancer care and treatment. She has given lectures for various acupuncture colleges, and regularly delivers seminars on auricular acupuncture, she served 15 years’ as a trustee and trainer for NADA working within the NHS and the voluntary sector. Her work within the substance misuse field began in 1994 at the Core Trust in London www.coretrust.org. Over a five year period, she worked there as a clinician, group facilitator, detox co-ordinator and clinical director, her special interest being the NADA group treatment leading on to her work as a trainer and educator of this important and powerful intervention so beneficial as part of treatment used within community based programmes. She holds an MSc from Westminster University which includes a study on the role and the impact of the NADA protocol at the Core Trust. During recent years, Rachel has been working with World Medicine www.worldmedicine.org.uk, an acupuncture charity that sends volunteer acupuncturists to provide acupuncture treatment for people in countries that have experienced catastrophic situations and/or poverty. During a recent trip to India, she trained hospital staff in a small village in Gujarat to provide an auricular treatment to aid pain management for the local people. See info here www.worldmedicine.org.uk/index.php/past-project/130-chaparda-december-2014. Rachel has trained in, and developed supervisory and mentoring skills for others in the acupuncture profession. She has a great interest and passion for the therapeutic relationship and the interplay of dynamics between people, which she believes are essential ingredients for success in facilitating growth and wellbeing both personally and in the treatment setting. 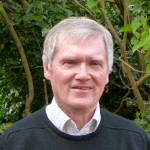 John is a world leading expert in TCM and is widely known for his work in the field of cancer and the management of acute and chronic diseases. Yuan Clinic & Traditional Medicine College. He has pioneered the use of acupuncture, Chinese herbal medicine, reflexology, shiatsu, meditation, qigong and exercise therapy in the UK. In 1988 John introduced the NADA protocol to the UK, having trained with NADA Founder Dr Mike Smith in 1987 at both the Lincoln Clinic in the South Bronx, New York and Sioux Indian Reservation in South Dakota. John was the Founding Chairperson of NADA-UK and the Gateway Clinic, where he specialised in Traditional Chinese Medicine for substance abuse, HIV and AIDS. Part of this role was to set-up the first full-time natural healthcare service in the NHS (Lambeth Community Care NHS Trust). He currently runs a busy and successful private clinic and acupuncture training college in London.